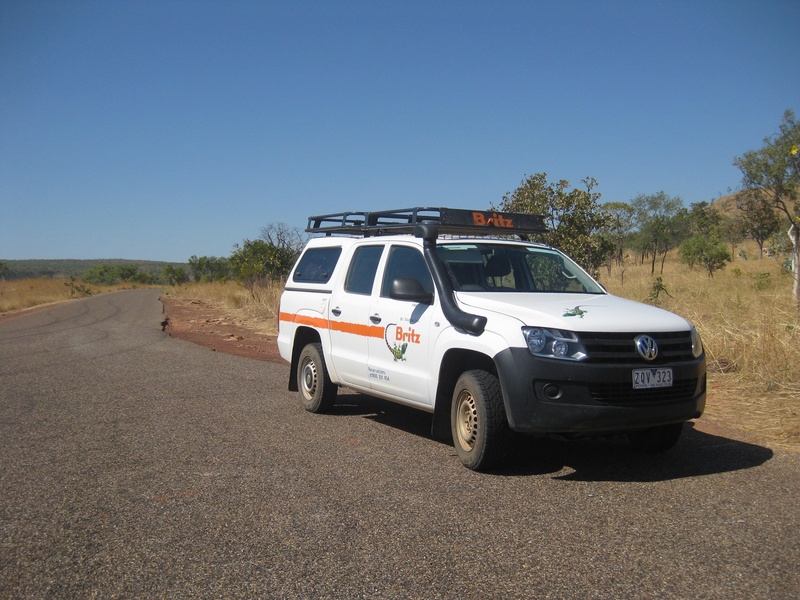 This is the car that needed relocating from Broome to Darwin for only $5 a day… Not too shabby a ride is it?! Complete with tent, sleeping bags, cooking gear and a handy little fridge, it was ready to go on a roadtrip ;-). Finding travel companions through a facebook group and on my tour of the Kimberley’s, myself and an Italian, a German and an English girl headed east out of Broome. Not going to lie, there is not much to see between Broome and the first town east – Fitzroy Crossing. The landscape changing subtly from trees to shrubs and different contourings, we rolled into Tarunda caravan park as the sun was setting. Met by a fairly rude woman in the site next to us there is honestly nothing more challenging than trying to assemble a 5 man tent you haven’t previously assembled when someone is watching you with their arms crossed uttering not very helpful words of advice under their breath… We made it though. Good effort team. Knackered, I rolled into bed and fell straight to sleep. The next day, the drive turned to Kununurra. A word that Megan struggled to say! Very funny, one of her guesses was Kunnado :-). Made me laugh. It was a beautiful drive north. I had contemplated driving it in the dark to get to Kununurra a little earlier… I’m very glad I didn’t :-). The car felt very small driving through many high peaks. Feeling like you are merely a visitor passing through its gaze… Awesome scenery. We stopped in at Wyndham. A very good road led to it. A very pretty place, we found a grotto, the 5 rivers lookout and the big crocodile :-). Lunch by the lake in Kununurra, it was nice to relax in the celebrity tree park. I got excited for a second that this might be trees looking like or sculpted into celebrities… It’s not… Just trees planted by celebrities… Not so exciting ;-). Nice lake though and could have easily spent more time relaxing there :-). From Kununnura the landscape changed. A dusty red road, quintessentially Australian, you can tell it’s the entrance to Northern Territory. Stopping by the welcoming sign of course, it was nice to be back :-). Happy NT memories were fresh in my mind. Megan chose music on my ipad that just happened to be NT music played picking zucchini’s which made me smile :-). 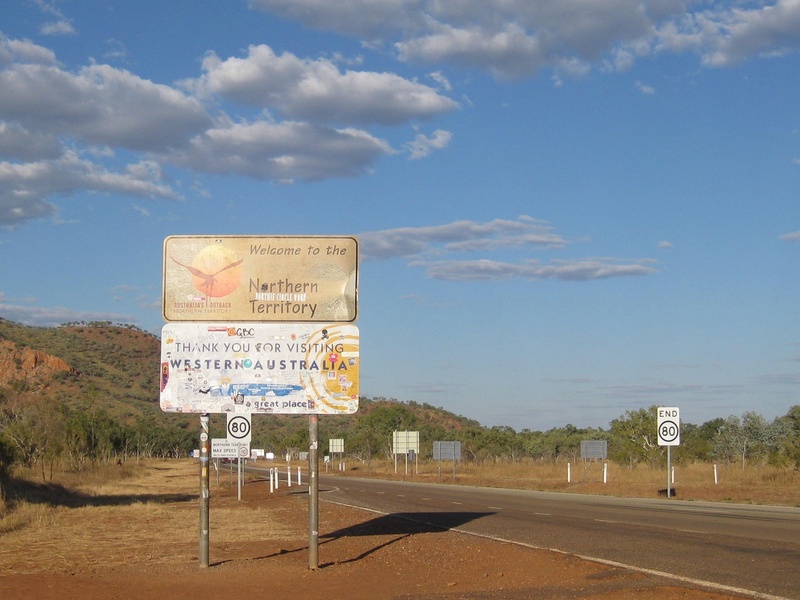 The NT kilometres appearing to be longer than WA’s, the last 5km to Timber Creek caravan park seemed to go on forever… A long day, losing an hour and a half with the state/Territory time difference, absolutely knackered, it was genuinely one of the most amazing showers ever :-). The next day, the names of the creeks continue to keep me well entertained… Brandy Bottle Creek, Cheese Tin Creek, Chinaman then Chainman (they just rearranged the letters at the next creek along?! )… It’s actual madness! 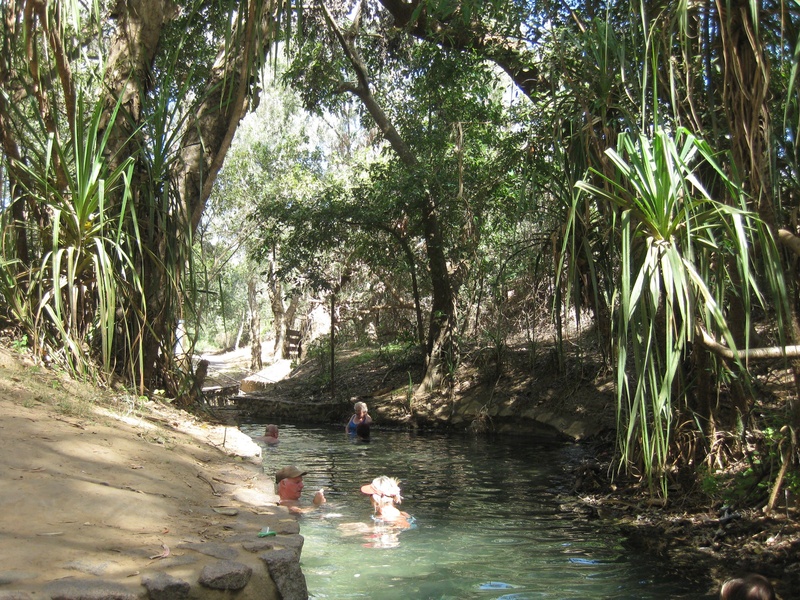 We stop into the hot springs in Katherine for lunch. Enjoyed previously last year whilst wwoofing there :-). Kakadu national park was next. Bukbukluk look out; some pictures of the open road, there were lots of bush worn trees. A nice easy drive, choosing to drive slower than the speed limit to relax, I think it wore off on everybody ;-). 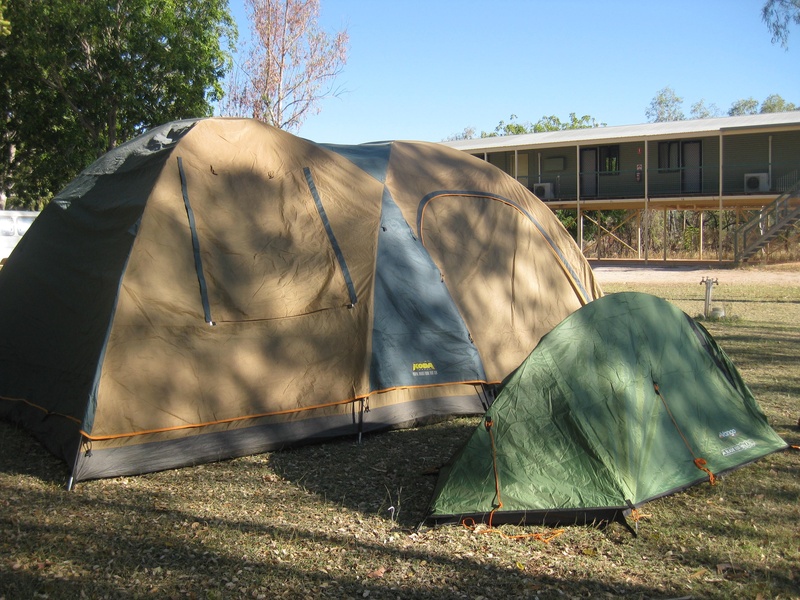 Spending the night in Gagudju lodge in Cooinda, joined by an Australian man who apparently genuinely thought Scottish midges were midgets who were going to attack him, with some nice relaxed chat, cider and wine, it was my favourite night of the road trip. Didn’t hurt that I could see the stars through the open tent window either ;-). Awesome. The last day of the road trip started with yellow river. Pretty and peaceful, lots of wildlife including birds and a snake were to be found. Anbangbang billabong (I know!) was next. Also very pretty but still no crocodiles to be found… Spending time at the cultural centre and learning of the stories of the people and the land then ending the day at nourlangie rock, viewing aboriginal art on the rocks and appreciating kakadu’s size, I think we had a good balance with only a few hours to spend there. It was then a long long road to Darwin on the Arnhem highway!! Reaching Darwin, feeling significantly warmer than Broome, it is much bigger and busier than I remember it from last year… Perhaps I have just spent too much time in small places ;-). It is nice to be back and to remember the Darwin memories of last year… I still can’t quite believe I’m getting on a plane soon though!! The homecoming is starting to become a little bit more real ;-).